284 pages | 1 B/W Illus. The making of modern Thailand is grounded in specific political institutions, Brahmanical tropes, and sacred Buddhist traditions stylized with Hindu rituals. Over and above these mysterious practices and ancient customs, modern Thailand is a product of the late Great Rama IX Bhumibol Adulyadej. Most Thai people have only known one King. Born in Europe and educated during World War II, Bhumibol was the son of a Harvard medical doctor who had a penchant for jazz music and fast cars. When he returned to Thailand in 1951 to assume his royal duties, he could hardly speak Thai but his French and German were remarkable. Bhumibol had inherited an impoverished country with nothing but a symbolic role as a figurehead monarch. He was surrounded by envious courtiers and royals from other families now sidelined by the rise of the Chakri. Scheming generals and authoritarian field marshals were emptying the Kingdom’s coffers. Using guile and wit, Bhumibol had turned the tide by 1973. He became the most powerful modern warlord in the history of the Kingdom. He survived attempted murder, crafty politicians, corrupt generals, sycophantic courtiers and impoverished masses. When he died on October 13 2016, Bhumibol was already the longest standing monarch in the world. King Bhumibol was deeply respected and well-liked by farang and locals alike. Despite his massive social and economic achievements many problems continue to plague the Kingdom. These are prostitution, human rights issues, pollution, corruption, cronyism in Chinese businesses, border conflicts with Cambodia, and the refugee problem. This book examines the role of Rama IX and the variegated set of problems that persist in life under the great white elephant and mango trees. 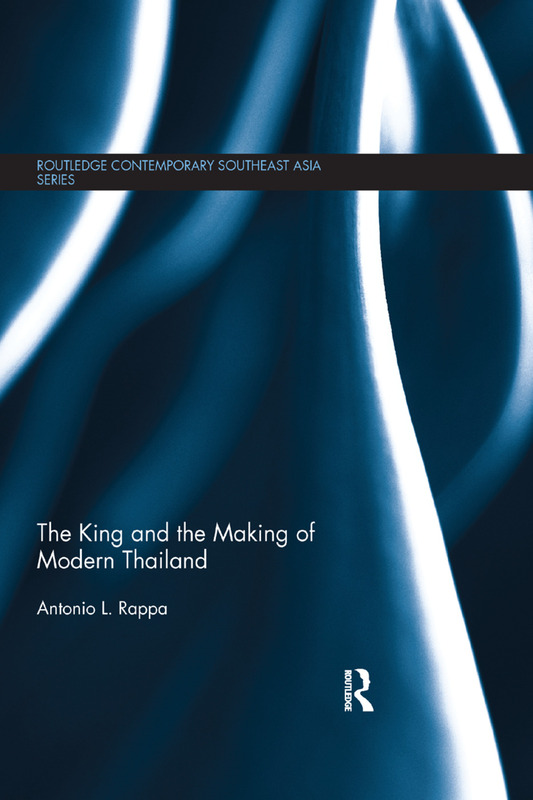 Rappa draws from his primary research that includes interviews, surveys and first-hand observations of a remarkable kingdom and a uniquely remarkable king to reveal the internal security threats to democracy and civil society in the oldest Southeast Asian kingdom in late modernity. Antonio L. Rappa is Associate Professor and Head of Management and Security Studies at Singapore University of Social Sciences (SUSS), Singapore.